It’s not official until it’s on the internet right? Well, here’s our announcement: we bought a house! Unless you have directly seen us, we’ve been keeping it a bit quiet. It felt like a jinx to announce before the actual move (we’re very optimistic people, we promise). We’ve officially been in the house for about two weeks now and I can say it’s exciting and chaotic. It seems like this entire month has been utter madness and it has been non-stop, but with the help of some fabulous friends and family, we are finally getting settled in. I can’t wait to really dig into making this house ours and turning a house into a home. It’s an ever evolving thing, but it’s time for an update on how the apartment has been coming. The gallery wall is ready for its debut. This is probably the space I had the clearest vision for when we first toured the apartment, which is funny considering it’s been changing since March. When Chris and I got married, we realized we had a unique situation. We had very little furniture (mostly from Chris’s bachelor days that had been moved 5 times) but there was SO much art. Chris worked with a vendor at San Diego Comic Con for about eight years and in the course, collected a whole bevy of art. 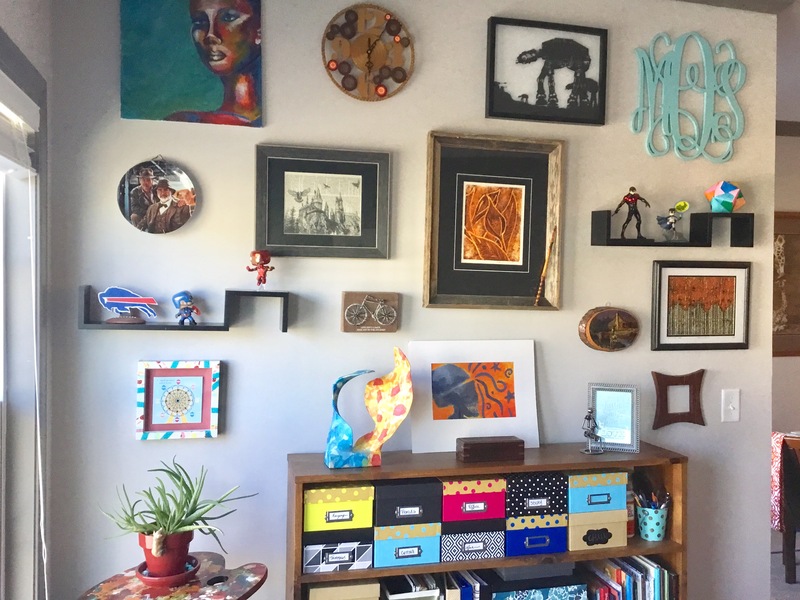 I have artwork I made as well as pieces I’ve collected over the years. A sofa? You’re asking too much. 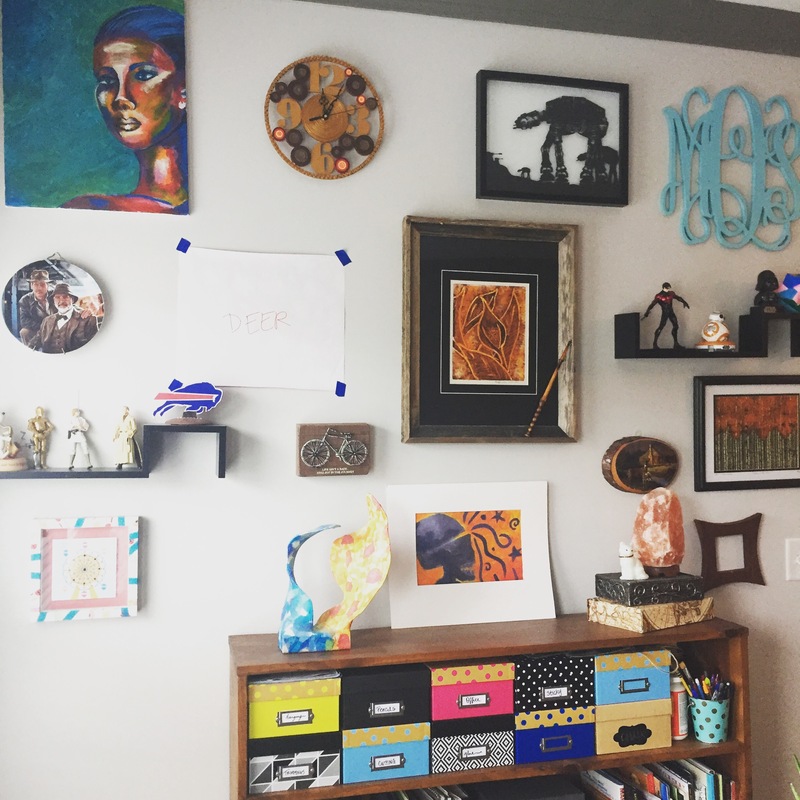 But enough art to hit up every empty wall possible? Easy. I rearranged options for a few days, sending photos to friends and family to see if they saw any major holes or unfortunate pairings (This is actually why I turned the wrapping paper around, the first response I got was “Too many snowflakes.” Thanks guys). I wish I had a good photo of the snowflakes. Bless it. Tip: It’s vital to consider your art as a whole, as well as each piece. Lay all your pieces out near each other on a big flat surface and check to make sure your color palate coordinates. Are any of your frames clashing? We had some chunkier frames that had depth to them, so we knew those couldn’t be near the geometric shelves. We also had several frames that were very close in size, so we tried to keep those distant from each other. Then came time to hang everything. Let me tell you, that is the moment you will be thanking your lucky stars that you made the paper grid, it honestly made this step a breeze. We had one snaffoo: the deer. This painting has traveled with me since I was in 4th grade. 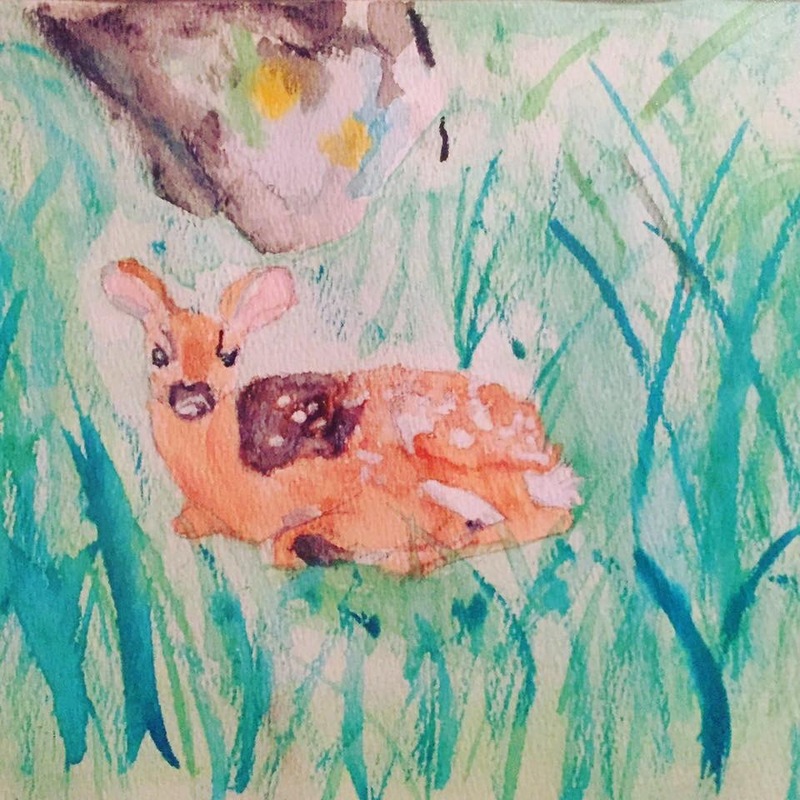 It’s actually the first watercolor painting I ever did (Some of you may recognize this piece from Instagram, it’s the one my husband called a goldfish. I will give him props and say the painting was upside down at the time. He now refers to it as the “Not Goldfish”). This painting was framed when I was 11 and has just leaned on top my dresser since then. It never hung on the wall. I honestly never considered checking the back of the frame, but when we went to hang it (last I may add) we realized that particular frame has no spot to add a wire or bracket, it goes straight from cardboard backing to the angle of the back of the frame. I set it aside and spent a few days (weeks, I’ll be honest) admiring the wall and just left my wrapping paper place holder up. I considered buying a new frame but wasn’t sold. I considered putting something else there and just continuing to lean “Not Goldfish” on top of a bookshelf, but I didn’t want to buy something new because the whole issue was having So. Much. Art. So I left it and became obsessed with a different project. Cut to a few weeks ago, my husband asked why I’d never published about how the wall turned out. I pointed to our stylish snowflake paper and said I was putting it off. He scoffed, told me to hang ‘the thing from the bathroom’ and get to writing. Y’all. It was a face-palm moment for me. It took him two seconds. This illustration of Howard’s School of Witchcraft and Wizardry fits perfectly. And who doesn’t need more Harry Potter in their life? We’re so excited to have one section of our new home “done.” Can’t wait to get started on another project! How Do You Choose Your Design Style? Does this question burn anybody like it does me? Maybe it’s from an interior designer standpoint, but trying to put a label on my personal style feels kind of like being asked to solve the formula for time travel. I got nothing. Or, more accurately, I have options galore. I’m transitional. I’m eclectic. I love Art Deco. I tend towards Mid Century Modern. The choices! This is normally where I tell a client to start making mood boards. Whether it’s on Pinterest, a bulletin board, or a stack of ripped up magazine pages, gather and cultivate the things that appeal to you. I’ve trapped my husband in this stage. We’re trying to make a semi-longterm plan for a dining set and a sofa and and and. While we plan and save, I obsessively send him photos. And then nitpick through the photos. I, personally, adore this stage. I’m not so sure Chris does, but he indulges me. When you think of the future, what do you picture? Flying cars, shiny clothing, the ability to teleport? What do you picture for your home? That answer could go so many directions. Design is such an intensely personal thing, everyone’s picture is different. I can tell you my husband’s mental image is streamlined and heavy on technology. My sister loves the classics. My father wants sustainability. My mother favors designing with handmade items and antiques. For me personally, I picture a feeling more than anything. I want family and friends to feel comfortable in a space and for everything to be functional. I think the future honestly has an amalgamation of all of these. 1) Technology: There has never been such a great time to introduce technology to your home. Do you remember Disney’s Smart Home? You can basically have that, minus the manic episodes. Control can literally be at your fingertips. From your phone or tablet, you can start the laundry, dim the lights, lock the doors. You can speak with delivery people from great distances. You can change the thermostat, check for water leaks, make sure you turned the stove off, water the plants, check to see if your dog is on the sofa when you leave (the answer is always yes). Honestly, I can’t even list all the different ways your home can embrace smart technology, but it’s definitely a trend that will only grow in the future. 3) Accessibility: As people are becoming more and more aware of disabilities. designers are embracing creating spaces that are functional and beautiful. You can get an ADA approved design without breaking the bank or sacrificing style. Hallelujah, it’s about time and may it spread. 4) Environmental Design: It used to be when you said you wanted to go ‘green,’ your options were incredibly limited. Now, so many home designers are on point, you can stay environmentally conscious without losing any style points. Have you looked at Pottery Barn’s eco-friendly home line? West Elm has committed to sustainable sourcing. Companies like Crate and Barrel and Target have come out with green initiatives. Some key things to look for when shopping include certification by the FSC (Forest Stewardship Council), furniture made from reclaimed, reusable or recycled materials, and furniture that will be long lasting (thus reducing your carbon footprint). Go be a mean, green machine! I can’t wait to see what other fantastic things the future of home design holds. No matter what your style, you have a lot to look forward to! Have you ever been shopping online or standing in a store, seen a shirt and just had an AHA moment? A moment where you are absolutely certain that this thing was made for you? The angels are singing, the birds are chirping and that shirt is coming home with you? Have you ever then gone home, put on the shirt and just felt deflated at the total disconnect? Sometimes what looked fantastic on the model just doesn’t translate to your body type. Sometimes that particular color or pattern doesn’t flatter (or in my pale case, makes you look like a walking corpse… shout out to all the white clothes I think are cute but really wash me out). Sometimes you were just feeling boho that day but in reality that’s not your style. It happens. The same is true of design. Recently I’ve been catching up on blogs galore and a few things have stuck out to me: making decisions is hard. It takes trial and error to find the perfect fit for you. Design is an intensely personal thing. It’s influenced by so many different factors. These can include everything from look to budget to lighting to durability to what’s on sale. And that’s before you even factor in tastes and needs of the other people in your household. It can be tricky. And that’s ok.
Never be scared to make a change to your space. It’s your home. You spend so much cumulative time there… why shouldn’t you enjoy it? If you can take a chance on that shirt, you can take a chance on your home! Try that paint color; the worst that happens is you have a good laugh and then you repaint. Change up your furniture if you don’t love it… that’s why the internet invented Craigslist. Somewhere out there, someone is going to love that piece. If something doesn’t make you happy, help make your life easier… then bite the bullet. Admit your ‘white shirt’ isn’t for you. You love blue anyways. Pretty much the only white I’ve ever loved… and it’s ivory! Recently a friend asked me if my bedroom is how I would have pictured it being five years ago. While the question threw me for a loop, I had to conclude that it’s not. For one, I can’t say my mental design scheme originally included my husband’s style. He’s drawn to sleek and modern whereas I’m a little more traditional. As we hadn’t met 5 years ago, I can safely say I would have pictured my space going a totally different direction. I am definitely not afraid of color and I just adore this watercolor inspired rug. Plus, think what an awesome job that would do at hiding nail polish spills. Bonus points. I am a sucker for a good chandelier (and I can promise you, Chris and I are destined for many discussions over light fixtures because our tastes couldn’t be more polar opposite). This chandelier is fun, flirty, but has enough subtlety not to overpower the relaxing purpose of a bedroom. I hope you all are enjoying your Labor Day weekends and have had a chance to relax at least a little. All I want to do is kick back with family, friends, and maybe a something hot off the grill. What do you think of these cozy looking spaces? Look at this gorgeous home by Geschke Group Architecture out of Texas. If this doesn’t make you want to host a party I don’t know what will! Ok I’m done drooling. Maybe. For now. May the rest of your week be fabulous! It’s feel like 2016 is just zipping right by. It’s a year of changes for my family and friends. My sister is expecting her first child, a baby girl. To say everyone is thrilled is an understatement. Most of this summer has revolved around preparing for the upcoming baby, in one way or another. Recently, I spent a weekend at my sister’s home plotting and shopping for baby. Starting with a blank slate, we came up with ideas for a theme and started creating a nursery. (and any future children). We talked about a variety of themes, but landed on whales and the ocean. Whales are popular right now, would be easy to find and aren’t specific to a baby girl or boy. 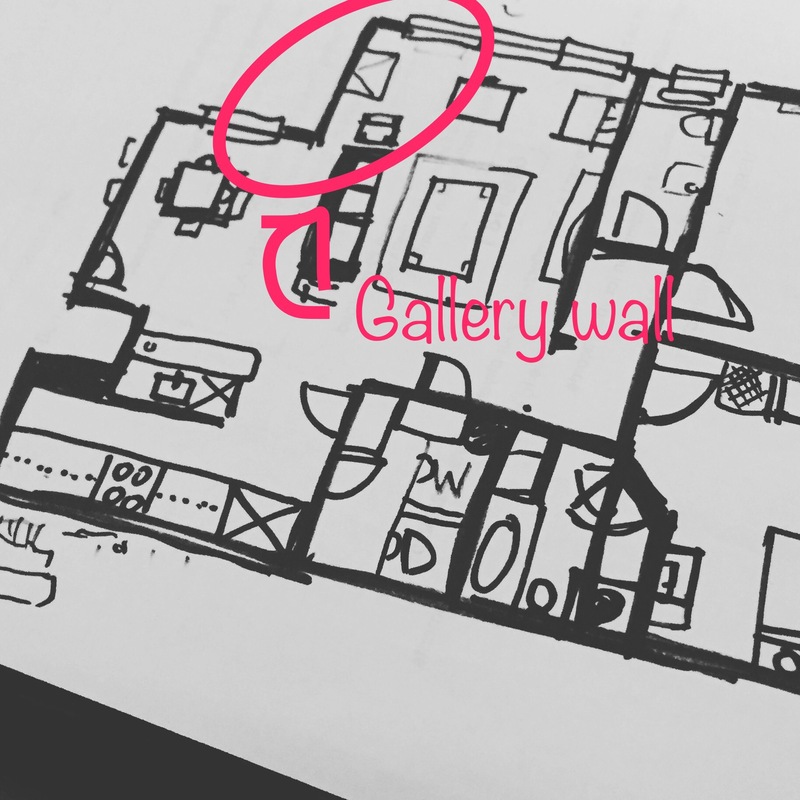 We put together a mood board with ideas of how she pictures the nursery and tried to break it down into specific shopping elements. Who wouldn’t want this nursery? Furniture wise, the goal was traditional. Rebecca chose to reuse the changing table from when we were kids. It needed a little love though. The drawers were painted a deep blue, the base was its natural maple and the knobs are little baseballs, from my brothers childhood bedroom. For my niece, we updated a bit. My brother in law painted the base white and used an ombré effect on the drawers. We’re still on the hunt for some fun knobs; really, the options are endless! They chose a traditional crib in the Jenny Lind style and wanted a comfy rocker to settle into for late night feedings. Other than a bookshelf and a lamp, that covered layout covered, furniture-wise. Now for the fun stuff: accessories and storage. We trolled brick-and-mortar stores as well as the Internet to find inspiration. We found so many adorable ideas it was hard to narrow it down. Some I can’t even publish yet because I would hate to spoil surprises. More photos to come showing all projects for baby. 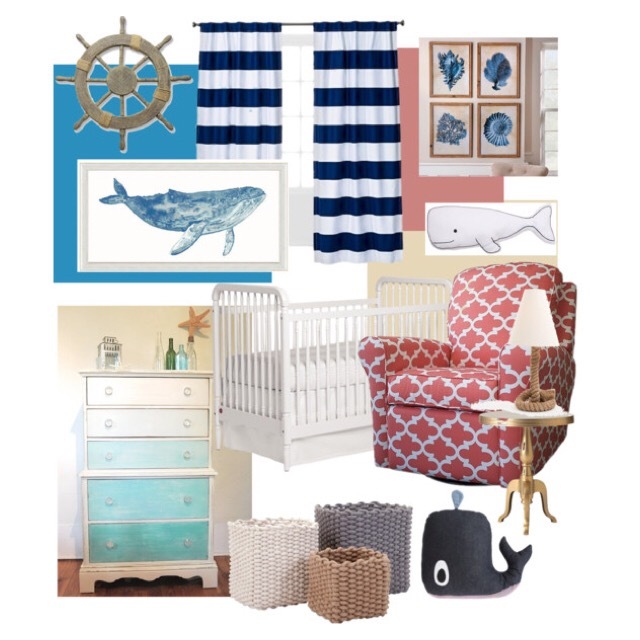 I can’t wait to share how this nautical nursery turns out! As the seasons change and move into colder months, we start the habitual dig for extra scarves and sweaters. This same concept of layering is important in your home. 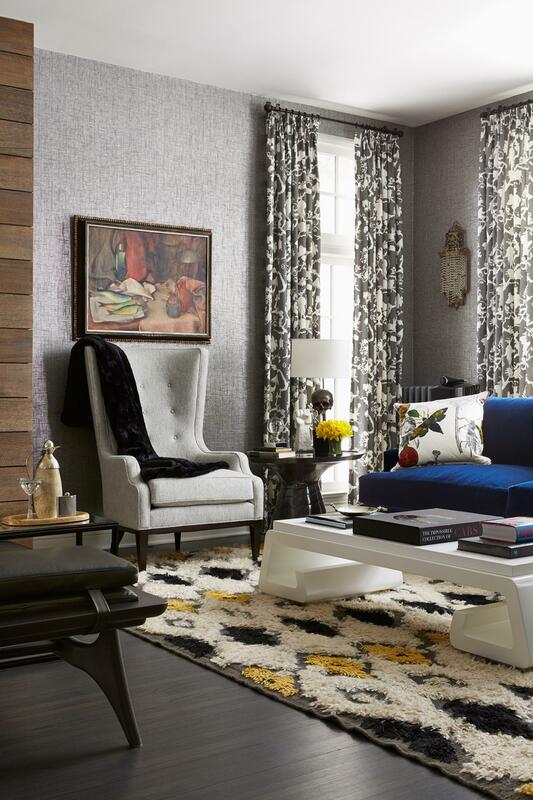 The way to create a dynamic space is to give a blend of textures and materials. Mix your woods with metals. Don’t be afraid to put a stripe next to floral or ikat. Your home will be more interesting and versatile for it. 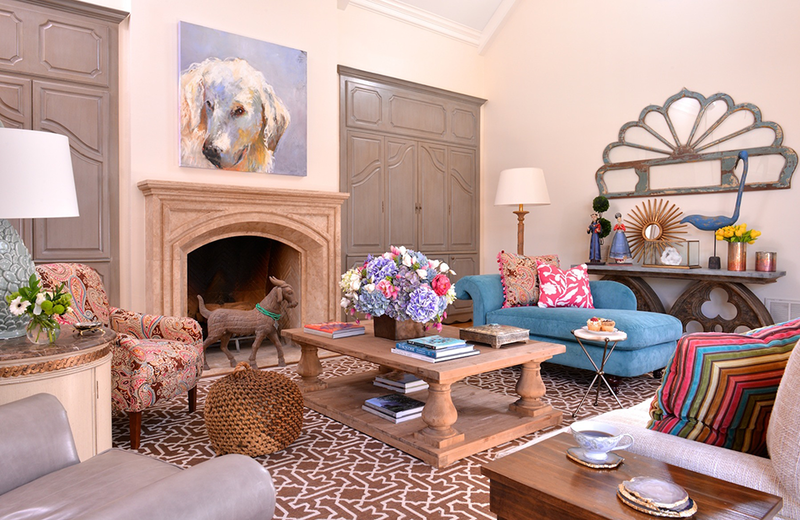 The rules for layering patterns and textures in your home are similar to those for your body. Everyone channel your inner Stacy London and Clinton Kelly (shout-out to ya’ll for teaching me to dress myself). Remember The Rules? When mixing patterns, keep the colors similar, though they don’t have to match exactly. Consider scale. Small scale patterns such as clustered polka dots placed next to another small scale pattern like pinstripes will likely be too busy for your eye and lose appeal. Try pairing small scale with medium or large. Next, pair organic with inorganic to add interest. Too much floral is not what anyone wants. Your house is not a garden. Geometric patterns can be friends with floral. Have fun with design and with pattern; don’t be afraid to think outside of the box! Your home will thank you for it.